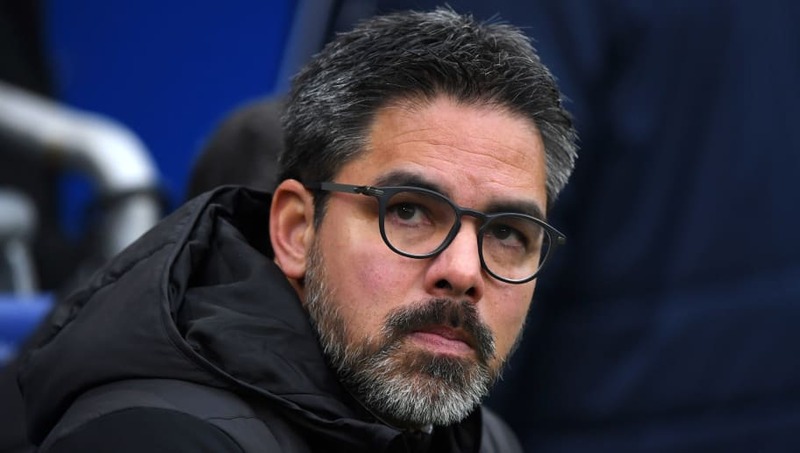 ​So Huddersfield have allowed David Wagner to go. The correct thing to do no doubt, with the Terriers up against it in their fight to stave off relegation for a second consecutive season. Bottom of the league, unable to many goals and fresh out of ideas, the parting of ways with Wagner signals a new dawn and a new era for Huddersfield. Except it doesn't. Because even if Huddersfield bring in Sam Allardyce, David Moyes or another perceived miracle worker, they have made a catastrophic error in allowing a man to leave whose tireless coaching, tactical know-how and fundamental understanding of the game had led them to the most ridiculous of promotions. To where they are now. To actually being relevant. We've known for a long time that sentiment means very little in this day and age. Players, managers, groundsman, tea ladies - they all come and go with regularity these days. That isn't necessarily a bad thing. Not always. But in this particular case it is. The question that's embedded in the brain at the time of writing is have Huddersfield forgotten who they are? Sure, they are mixing it with the big boys right now. Living the dream, playing top flight football week after week. But this is ​Huddersfield we are talking about. Punching way above their weight and bottom of the Premier League for good reason. Simply, they're not setup to be a sustainable Premier League side. They never were in the first place. But is that David Wagner's fault? Absolutely not. If anything, he pulled one of the greatest achievements in Football League history by grabbing a side who were perennial Championship strugglers by the scruff of the neck and dragging them up to the riches of the ​Premier League. Now he needed time. Understanding and patience from the owner and board that relegation was in all likelihood going to be an inevitability - and most likely at the first time of asking. Staggeringly, it wasn't. Wagner made a few shrewd signings and the Terriers somehow found a way to grind out the results required to maintain their top flight status. Furthermore, Wagner achieved this by sticking to the philosophy and identity of football that he wanted his side to play. A ground-based, patience brand of football that looked to work openings and play the game in an attractive way. Credit it to him, it worked in the first season. Many managers would have ditched their principles and adopted a direct, pump it up to the big boy up top style. Not Wagner though. He had the gumption and character to continue building for the future. And that's seemingly what Huddersfield have lost sight of here by parting company with Wagner. Okay, some signings this season have not worked out as hoped. The forward line has not been good enough. Goals have been hard to come by. But reassure the man. Build for the future together and discuss how you're going to move forward and come back stronger. The signings brought in to the club were sadly the only players interested in moving to Huddersfield at this time. To compete at this level, you have to splash some serious cash. Coming up, actually staying up and building a successful team capable of surviving in the Premier League for a prolonged spell takes time - more time than Dean Hoyle perhaps wanted. In the ​club's official statement, he suggests that the decision was mutual. Fair enough if it was. But you find it hard to believe that Wagner would just walk away from the job, given what he's achieved. Given his affinity with the supporters. And even if he does believe that the club is struggling and perhaps needs a change, convince him otherwise. If he doesn't want to stay then, okay. But surely ask him to resign? In all likelihood, the club are going down. And they deserve too. Wagner would naturally take some of the flak, but with the German in charge you felt that the future of the club was in safe hands. New players would come in, some would leave and Huddersfield would continue to embrace their footballing identity. Sadly, that's now out of the window. Now the future looks like a hopeful, finger in the sky and see which way the wind blows scenario. Hoping for the best. Chances are, things won't work out for the best - and misguided misery is likely to follow as a result.